When talking about the type of cancer is very terrible, cancer of the pancreas seems to be one of them. This type of cancer is very deadly, but he is known as the silent killer because the symptoms shown are not easily detected start in the early stages of infection by the deployment phase. These cancers included as an aggressive type of cancer that is very easy and fast in the distribution process. In fact, this cancer has a poor prognosis compared to other cancers. Symptoms are not easily detectable make new cancer patients aware of the problem when the cancer cells have spread and growing, which it will make the process of the operation will be difficult to do. 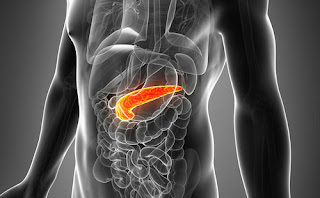 The pancreas is one organ that is in the stomach with a horizontal position behind the lower abdomen. Pancreatic function is to secrete an enzyme needed to help the digestive system and the hormones that regulate the metabolism of sugars. Cancer of the pancreas can occur when cells in the pancreas develops mutations in DNA. Mutations can cause the cells to grow uncontrollably and continues to grow even after the normal cells die. The cells clump together and form a tumor. The main cause of pancreatic cancer is smoking. In addition to smoking, people over the age of 45 years and has a history of diabetes also have a substantial risk of this cancer. Symptoms of cancer of the pancreas usually do not appear in the early stages. However, once the cancer cells grow and spread, cancer patients will feel the pain in the lower abdomen which sometimes also to spread to the back. The pain of these can make the pain got worse when the person is eating or lying down. This is what often makes pancreatic cancer became one of the cancers that very quickly remove a person's weight. Other symptoms that arise are the appearance of jaundice, pain, drastic weight loss, depression, bowel obstruction, and blood clots. There are several types of treatment can be done in treatment of patients with pancreatic cancer such as radiation and chemotherapy. In addition, surgery can also be performed in some cases but this option can usually be an alternative treatment when the cancer cells have not spread to other tissues. Knowing some information about cancer of the pancreas, you should be more vigilant and maintain a healthier lifestyle.